Quincy Jones started out in Jazz bands, playing Trumpet with some of the leading names in Jazz and Bebop including Count Basie, Dizzy Gillespie, Ray Charles, Miles Davis, Charlie Parker, Theolonius Monk, Herbie Hancock, Ella Fitzgerald and Billy Holiday. He took up arranging and composing band music, spent some time in the record company Mercury Records, reinvented himself as a film composer, before becoming one of the leading music producers. Along the way he demonstrated a knack for honing some fine tunes, be they Jazz, Blues, Soul, Latin, Rock or Pop, and he has worked with Frank Sinatra, Barbra Streisand, Michael Jackson, Steven Spielberg and Ice-T. He can no longer play trumpet following an emergency operation to fix an aneurism in the brain, but his other careers are enough to keep him very busy indeed! As a composer, he can produce sleezy, dark-sounding music as required for films like "In Cold Blood", "The Pawnbroker" and "In the Heat of the Night" (the first track of whose album features the soulfull vocals of Ray Charles), but can also create lively upbeat music too. "The Italian Job" is the classic caper movie starring Michael Caine, Noel Coward, racing Minis and a great soundtrack by Quincy Jones. The title track is sung by Matt Munro in English and Italian, and other tracks are full of 60s kitsch including a jazzed up version of Greensleeves, and baroque style versions of Rule, Britannia! and The British Grenadiers. Jones was staying in London to work on the movie with the ever-reliable lyricist Don Black, and was fascinated and amused by Cockney Rhyming Slang. This led to the real musical tour-de-force of the movie in the form of the "Getta Bloomin' Move On!" track by the "Self Preservation Society" towards the end of the movie which successfully blends bits of Classical Bach, English Pomp and Circumstance, Cockney Cheek, Football Chants and carefree caper frolicks. It's worth getting the soundtrack for this track alone. Jones holds the rare distinction of having created the score for a Steven Spielberg film (other than the director's usual partner John Williams). Speilberg asked him to score and co-produce "The Color Purple", and it was Jones who selected Oprah Winfrey to star in the movie when she was relatively unknown. As a producer in the pop world, he was responsible for many well-known singles and albums, and boosting many singers' careers. To name a few, there is "It's my Party" (and I'll cry if I want to), Michael Jackson's "Thriller" and the charity song "We are the World" to raise awareness of poverty and starvation in Africa (Jones' reputation was able to call on many artists to participate). Another collaboration with Steven Spielberg was to produce a tie-in album for "E.T. The Extra-Terrestrial", released in the same year as the film and "Thriller". The album was in part an audiobook with Michael Jackson narrating the story of E.T. 's adventures on Earth, and it also contained some John Williams tracks from the movie and two versions of the song "Someone In The Dark" sung by Michael Jackson and written by Rod Temperton with Alan & Marilyn Bergman providing the lyrics. The album was withdrawn after its release following a dispute between record companies. 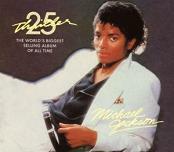 The "Thriller" album still holds the distinction of being the biggest-selling album of all time, and Jones also produced Michael Jackson's earlier album "Off The Wall" and his later album "Bad". In addition he put together "The Making of Michael Jackson's Thriller" about the making of this record-breaking album, and his groovy 70s tune "Soul Bossa Nova" has been used in the Austin Powers movies, particularly number 2 though Jones himself appears briefly conducting an orchestra near the begining of the 3rd movie "Goldmember". He has some way to go to keep up with Burt Bacharach's cameo appearances in the series however! The track "Soul Bossa Nova", which effortlessly provides the mood for the Austin Power movies, dates from the early 1960s and was used by Jones in his soundtrack for the Rod Steiger film "The Pawnbroker". In the 1970s it was also used as the theme tune for a TV game show in Canada called "Definition". Its more recent rediscovery finds it not only appearing in the Austin Powers movies, but also sampled by a number of hip hop tracks including "My Definition of a Boombastic Jazz Style" by Dream Warriors and "Number One Spot" by Ludacris. More recently Jones has been involved in film and TV production, such as the Will Smith vehicle "Fresh Prince of Bel Air". Jones himself appeared in one episode of this. Those of you who have seen the UK TV programme about "Heathrow" will also have had an opportunity to spot Jones' VIP appearance in one episode. 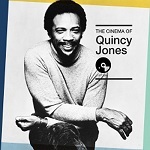 Jones' definitive screen appearance is the biographical movie "Listen Up: The Lives of Quincy Jones". This two-hour film features Jones and many of the famous people he has worked with, his early life in Chicago, the Jazz bands, and his various careers and families (he has been married 3 times). En route this film touches upon hardship, friendship, racism, ambition, tragedy and success. There is an in-depth interview with Quincy Jones published on the Academy of Achievement website. Look out also for "Q: The Autobiography of Quincy Jones" which can be found at these links on www.amazon.com and www.amazon.co.uk. Along with Bill Gibson, Jones is putting together the material for a set of books called "The Quincy Jones Legacy Series" with the first book in the series Q On Producing now published. With the tragic death of Michael Jackson in 2009, and the media hysteria which has followed it, Quincy Jones has been interviewed and quoted a number of times on his thoughts about the singer. Among other comments by the composer, he evidently was not taken in by the story about a "rare skin condition", though clearly Jones was shocked that the singer had left this world before his mentor. Jones was also involved in the production of the single "Rocket Experience" and associated video teaming astronaut Buzz Aldrin and rapper Snoop Dogg to commemorate the 40th anniversary of the first Lunar Landing. Also look out for the 40th Anniversary DVD of "The Italian Job", the Region 2 disc is available at www.amazon.co.uk. One of its special features is an interview with Jones about his inspirations for the film's music, and Michael Caine confirms speculation that he was one of the singers on the soundtrack. Adverts on UK television also used a familiar song with the lyrics "This is the Wood Preservation Society"! The picture below is the cover of a 2 DVD set containing a documentary film made in 1995 by Jean Bach called "A Day in Harlem", plus a lot of bonus material on the 2nd disc. The documentary is narrated by Quincy Jones who knew most if not all the great jazz artists, and is essentially a history of Jazz using the famous photo on its cover as a starting point (the photo was taken in 1958) and including interviews with many of the surviving jazz legends depicted in the photo. For more information see www.amazon.com and www.amazon.co.uk. 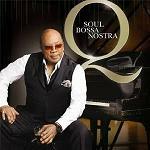 Quincy Jones has also put his name to a 2010 album called "Q: Soul Bossa Nostra" (image at the left). It is a set of cover versions of his songs (some produced by the man himself) by a wide range of today's artists, and can be found at www.amazon.com or www.amazon.co.uk. The Pawnbroker - among other music this features the "Soul Bossa Nova"
A Man Called Ironside - the theme features on Quincy Jones' 1971 studio album "Smackwater Jack"
We would also highly recommend the reasonably priced 6-CD box set called "The Cinema of Quincy Jones" which is available from this link at Musicbox Records.